In-town ranch charmer is spacious and offers a private master suite and 2 private guest rooms with shared tiled bath. 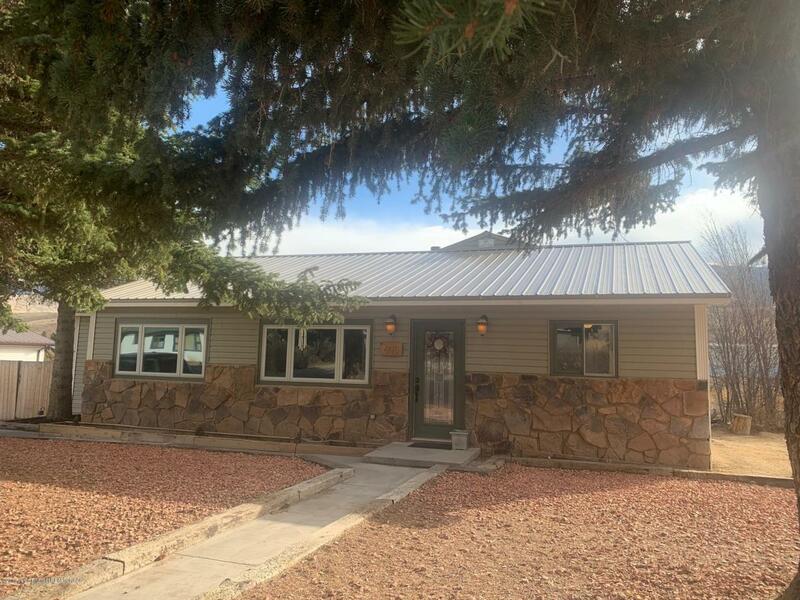 Updates include custom rock wood stove, custom tiled bath with waterfall shower, cooktop with custom tiled backsplash, paint updates, new water heater, new sewer line to house & new metal roofing. In addition to these updates Seller is offering a one year home warranty at closing. Bonus room w/free-standing wood stove offers den/office/gym space and basement garage offers workshop space.Fenced yard offers private patio area, room for pets and a garden spot. Alley access allows for back yard entry to basement garage. Tons of space to store toys, rv, camper or work vehicles. Superb location only one block from the town park, grocery store and various restaurants. Enjoy in-town living with great mountain views and easy access to all town amenities. Priced to sell - don't miss out! Call today.